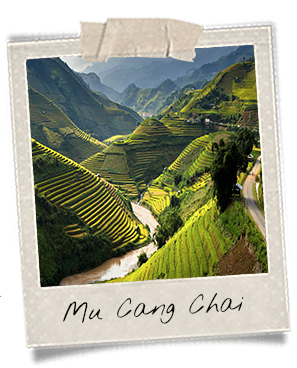 That tour will bring you to the wonderful landscapes of northern Vietnam, on roads and paths winding through the region. 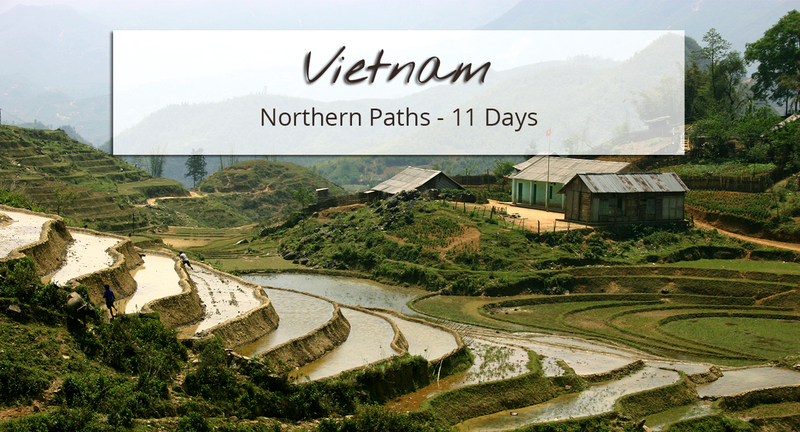 Most of your trip will be dedicated to hiking in the Vietnamese ranges of mountains. You will go through passes, walk down valleys, follow trails around paddy fields and reach remote places of northern Vietnam. Meeting local people will obviously be a major part of your trip. You will spend a few nights in homestays during your hike, and visit villages that are inhabited by some ethnic minority groups such as Hmongs, Red Daos and Thais. You will have the chance to travel by train from Lao Cai to Hanoi. Then your voyage will bring you to Ninh Binh, the so-called “Halong Bay on land” that you will explore by bark and bicycle. You will then be headed to the true Halong Bay, its sugarloaf-shaped rocks and turquoise water, where you will be cruising on a junk. Arrival at the airport in Hanoi, then journey to Moon Garden Homestay in Ky Son. That small village is located not far from the Vietnamese capital and stands as a nest of tranquility at the heart of nature. You will check in and walk around Ky Son before attending a cooking class during where you will prepare lunch. In the afternoon, enjoy a medicinal plant hand massage before riding your bicycle to explore the village more thoroughly. 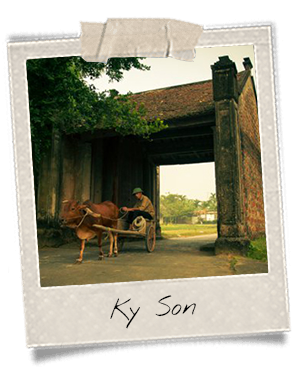 You will head to Duong Lam, the neighboring village. You will meet local people who will show you their daily duties in the fields. When you are back to Moon Garden, unwind and enjoy a herb steam bath, before observing Buddhist cult. Taste a delicious dinner and get a salt and ginger foot treatment. Overnight at the hotel in the stilted house: dormitory equipped with separating curtains. Journey length: 1.5 hours from Hanoi to Ky Son. You will smoothly wake your body up with a Dich can kinh morning class (“Yijin jing” in Chinese), a martial art combining spirituality and meditation. You will then hit the road to Nghia Lo, a village best-known for having been the scene of a major battle in October 1951 during the first Indochina War. The place is located at the heart of a valley surrounded by ranges of mountains. Lunch on the way in a local restaurant. In the afternoon, you will stop by Suoi Giang Town, also situated in the mountains. Its main feature? Being home to the oldest tea trees in Vietnam! Arrival in Nghia Lo. Dinner not included. Overnight at the hotel. You will leave early in the morning and be headed to Mu Cang Chai, where some of the most beautiful terraces in Vietnam can be seen. It is also home to Thai and Hmong ethnic groups. On the way, you will stop by a local restaurant to have lunch. Then, you route will continue through the gorgeous Khau Pha Pass, which offers panoramic views over paddy fields and Tu Le Valley. It is also one of the biggest passes in the country with its 30-kilometer length at the heart of the mountains. You will arrive in Sapa at the end of the day. Check-in at the hotel. 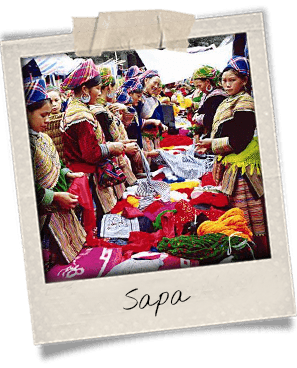 In the morning, you will visit a local market in Sapa, where people from minority groups go to sell and trade their products. Sapa may be one of the most famous towns in the Tonkinese Alps. Featuring mountains, terraced rice fields and ethnic minority groups, it draws more and more visitors in search of authenticity every year. Former hill station praised by the French colonist society, it has now become a tourist attraction, often starting point for hikes in the region. For that matter, it is close from the Fansipan Mountain, the highest summit in Vietnam. After the market, you will be driven to Ban Lech Village that will be the starting point of your trek along the Ngoi Bo River. You will go downhill to visit Muong Bo Village. You will get lunch there. You will then continue your hike and reach Sin Chai B, a place inhabited by Red Daos. Dinner and overnight at a homestay. Get ready for a beautiful day of trekking! 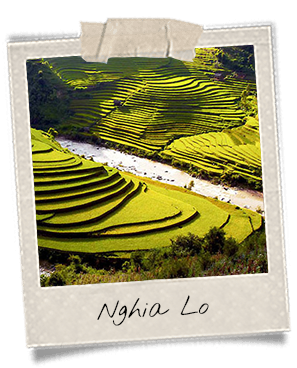 You will walk around terraced paddy fields, bamboo forests and wonderful undulating landscapes. 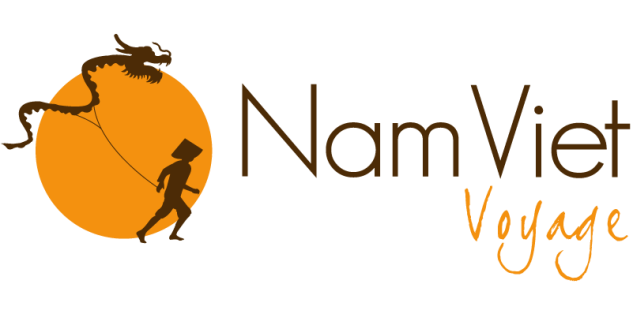 In Nam Nhiu, a small village, you will take a break and have the possibility to visit a local school and some traditional houses. They belong to Red Dao and Tay populations. You will get lunch at a homestay. In the afternoon, continue the hike toward Ban Sai, another small village near Nam Sai where Tay minority lives. A guide will provide you with a tour of the place. He will show you the stilted house where you will spend the night. Dinner and night at a homestay. Hiking will continue that day toward the small village of My Son. Your route will go on suspended bridge, at the heart of terraced rice fields and along rivers. You will go to Nam Keng and Nam Toong, two small villages. You will get lunch with the locals. In the afternoon, you will reach Ban Ho, a village located in the Ban Ho Valley. Flat and quiet, the valley is surrounded with ranges of mountains and hills. Thus, the climate is cooler than in Sapa. Visitors may then want to take a dip in the river that winds around the village. 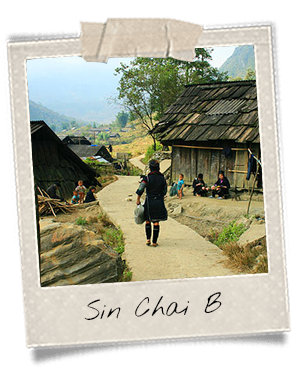 A private car will then bring you to Bac Ha where you will spend the night. 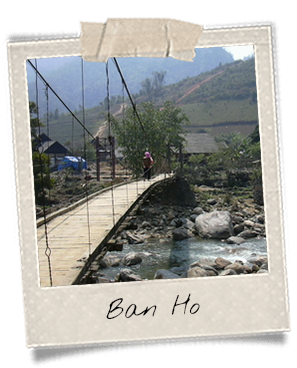 Journey length: 4 hours from Ban Ho to Bac Ha. 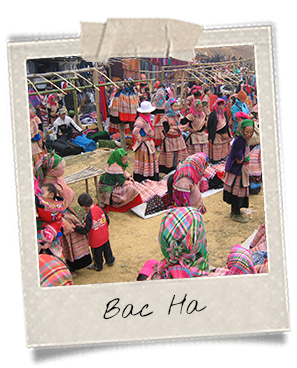 Bac Ha is a small mountainous village nearby Sapa. It comes to life on Sundays, when the market takes place. Streets get crowded with local populations who want to sell and trade their products. Minority groups wear colorful traditional costumes and meet there every week, a show that you surely don’t want to miss! Lunch in a local restaurant before hitting the road to go to Lao Cai, not far from Sapa. There, you will take the train to Hanoi. You will arrive at the end of the day and will be brought to your hotel to do the check-in. 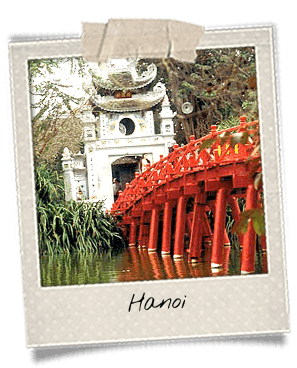 Discover the Vietnamese capital and its must-see monuments: the Temple of Literature, the One-Pillar Pagoda on the Hoan Kiem Lake, the Ho Chi Minh Mausoleum (from the outside) and the Presidential Palace. For lunch, treat yourself with a local specialty! Why wouldn’t you try bun cha for instance? That dish is made of marinated pork meat grilled on a barbecue, served with rice noodles, springrolls and a tasty, slightly sweet broth. You will then ride a bicycle around Hoan Kiem Lake, also referred to as “The Lake of the Returned Sword.” Take a walk in the 36 Streets that used to be specialized in one specific product. After that stroll, relax your feet with a massage. 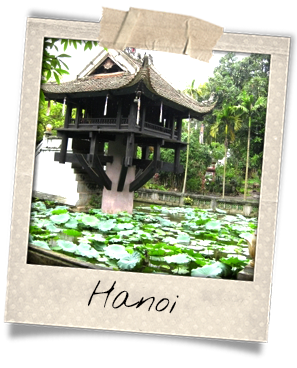 You will leave Hanoi in the morning and be headed to Ninh Binh. 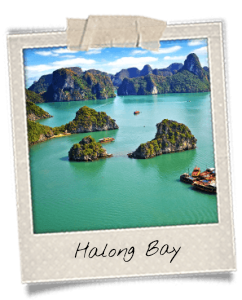 Dubbed “Halong Bay on land,” it features sugarloaf-shaped mountains that seem to grow out of the ground, just like rocks in the Halong Bay seem to grow out the water. 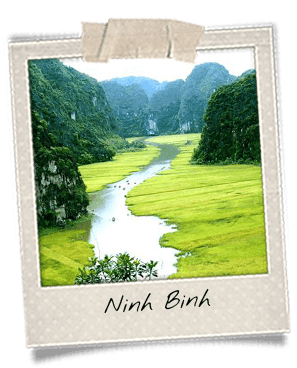 Ninh Binh landscapes are made of paddy fields, rocks and rivers winding around at the heart of nature: a stunning show. You will get to try a local specialty at lunch: grilled goat meat! Ninh Binh provides a great environment for goats and thus produces the best goat meat in Vietnam. It can be prepared in different ways: sautéed, grilled, meatballs or almost raw. 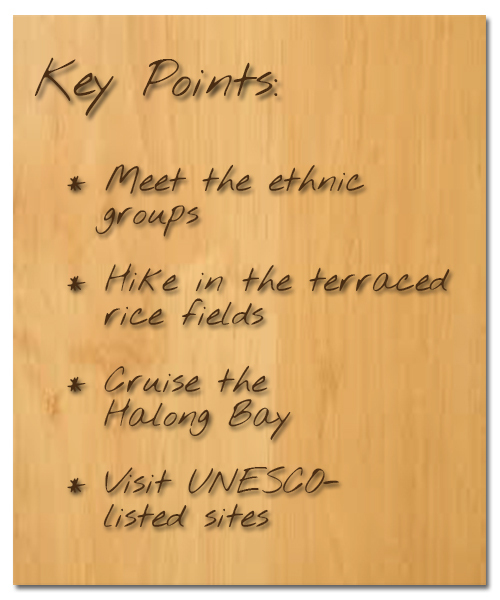 In the afternoon, discover the Halong Bay on land… on the water. Jump on a bark and let it bring you at the heart of that wonderful location. Enjoy the surrounding lush and majestic nature. At the end of the afternoon, you will go back to the ground and take a ride on a bicycle. After breakfast, you will hop on a private car that will bring you the Halong Bay – the true and unique Halong Bay! You will start a cruise on a junk in the bay. Your guide will be with you. The staff of the junk will offer you a complementary cocktail before letting you getting all set in your cabin. Lunch will be served on board and will be made of Vietnamese dishes. Afterwards, you will visit several caves in the bay. If you feel like it, you may take a dip and go kayaking (not included). Dinner on board. Squid-fishing at night. Overnight on the junk. Journey length: 3.5 hours from Ninh Binh to Halong. You will wake up your body smoothly with a Tai Chi introduction class on the deck. This gymnastic is called Thai Cuc Quyen in Vietnamese. It consists in slow movements. That exercise may have whetted your appetite so you will get a brunch on the boat. At the end of the morning, you will leave Halong and get a transfer to Hanoi in order to take your plane back home.